The 2018 Aston Martin V12 Vantage V600 is the company’s 600 horsepower naturally-aspirated V12, dog-leg manual farewell to the outgoing generation of the Vantage after its 13 years of service. Only 14 people will have the chance to own the V600 new—seven in coupe and seven in convertible—and they’ll all be customized to each owner. 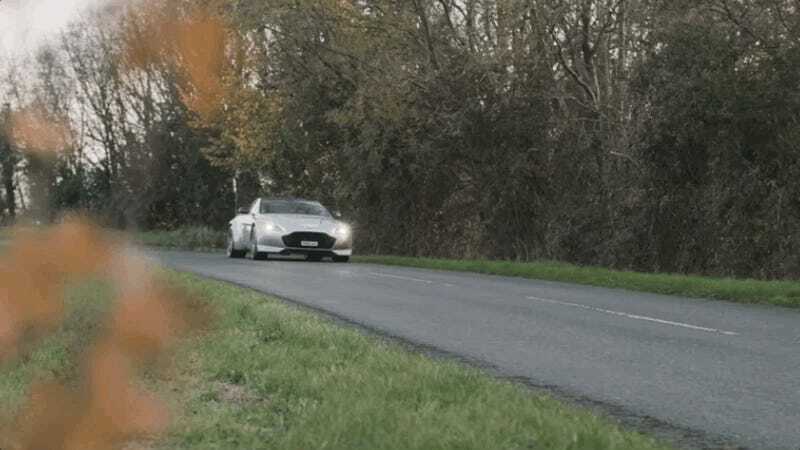 Of course, Top Gear’s Jeremy Clarkson made the same point about the V12 Vantage being one of the last analog-feeling cars a few years ago, in one of the most memorable segments from the later years of the BBC show. That wavy, hexagonal grille is incredible. The rest of the car seems good, too, as an accurate representation and tribute to some of the crazier cars produced over the last decade. Somewhat strangely, the next generation of Aston looks like, well, this.